Ashley Drury, 30, is a Florida native and stage 4 melanoma survivor. I started using indoor tanning beds in high school and was instantly addicted to everything about them—the warmth, the humming noise, the way a tan boosted my confidence. Shortly after I started tanning as a hobby, it also became my career. For 6 years I worked in the tanning salon industry, including 3 years in management. I recruited all of my friends to either work or tan alongside me. I attended trainings to learn about each layer of the skin and how the different types of ultraviolet (UV) rays affected the body. But I never thought that indoor tanning could be dangerous. I even wrote papers in college promoting it. I felt so invincible. Even after I heard horror stories about the negative effects of indoor tanning, I knew they’d never happen to me. In 2013, I noticed a large freckle on my lower back. It grew rapidly for a few months before I went to the dermatologist for a biopsy. I continued to tan in “moderation” until I received the call a few days later that confirmed what I already knew: it was melanoma. The next day, I met with the surgeon to discuss treatment options. I was quickly scheduled for my first surgery to remove cancerous lymph nodes in my left groin area. A second surgery was scheduled a week later because another lymph node was found to be cancerous. My doctors then decided that I needed robotic surgery to evaluate the situation further. The surgery removed cancerous masses throughout my stomach and pelvis. It was the worst pain I’ve ever been in. I spent 3 days in a hospital bed and then was basically confined to a chair or bed at home for 3 more weeks. I was on pain medications and also had a draining tube inserted into my abdomen to prevent fluid buildup. 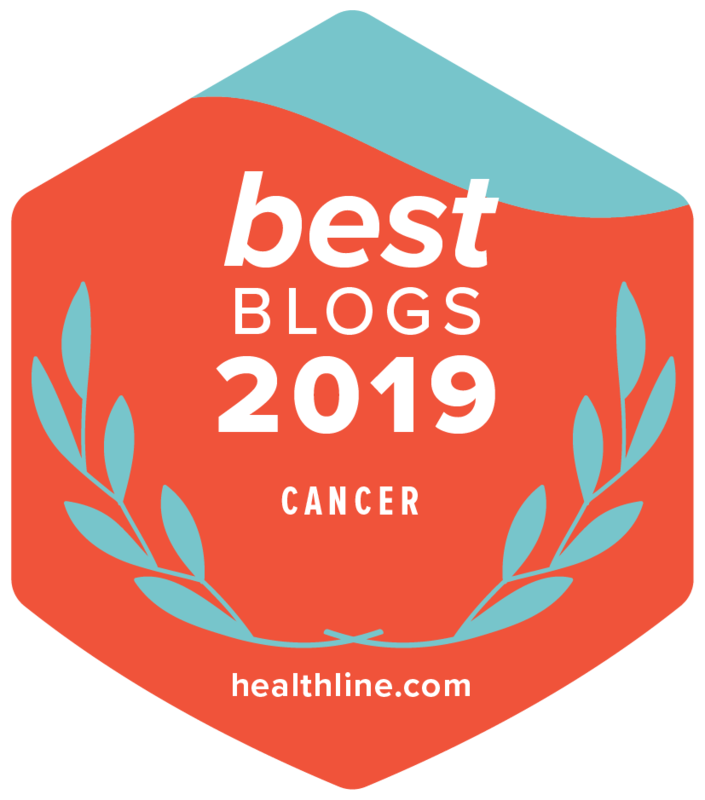 With my body just recovered from the surgery, my oncologist told me that, due to the aggressive and unpredictable nature of this melanoma, we should be proactive and begin a type of treatment called immunotherapy. The immunotherapy drug I received, called interferon, consisted of an infusion over the course of a few hours every day, 5 days a week, for 1 month. After the first month, I gave myself the injections every 2 days. The injections made me tired and weak. I felt like I had the flu every minute of every day—fever, chills, aches, and vomiting. And just when I started to feel less uncomfortable, it was time to administer the drug again. There were times I was just too sick to take another dose and was advised to hold off for a few days. About 3 months into my interferon treatment, I found out I was pregnant and had to stop taking the drug. During my first ultrasound, the doctors found a mass in my left ovary but were unable to identify what it was. My fiancé and I were told that if we continued with the pregnancy, the melanoma would most likely cross into the placenta and our baby wouldn’t live for more than a month. However, in the same conversation, we were also told that this could be my only opportunity to have a child. There are absolutely no words to describe the pain we felt hearing this. Because this was considered a high-risk pregnancy, I had frequent ultrasounds to make sure the pregnancy was not a risk to me or to the baby. I was offered another opportunity to terminate the pregnancy at week 24. I couldn’t bring myself to do it. Instead we prayed hard for a miracle, and on July 20, 2015, we were blessed with a healthy baby girl. I had my first post-pregnancy magnetic resonance imaging (MRI) scan 3 months after our miracle baby was born. I felt healthy and positive about the direction every piece of my life was going. So when my oncologist told me that the mass in my ovary was in fact melanoma and it had grown and spread to my brain, my heart sank. This was now considered stage 4 melanoma. Thankfully, I only went through 1 radiation session to shrink and control the mass in my brain, but the ovary was still a concern. I continued with yet another immunotherapy consisting of 4 large doses of medication. During this time, I was hospitalized multiple times for liver, colon, and stomach complications, as well as abnormally high fevers. The additional procedures and medications seemed never-ending. I was able to complete all 4 rounds of therapy, but the mass in my ovary hadn’t shrunk. Finally, in August 2016, my left ovary was removed. There has been no sign of cancer since then. For almost 10 years I promoted indoor tanning, the very thing that increased my risk for the cancer that threatened my life and the life of my baby. Now I wish I could take back every positive word about tanning salons that I ever said or wrote to my customers, friends, and family. For the rest of my life, I will promote skin cancer prevention and dedicate all that I have to keep even 1 person from enduring a single ounce of the pain that I experienced with melanoma. Melanoma Research Foundation: Why Is Tanning Dangerous?